Like every Earth Week, we didn’t have the biggest turn out. 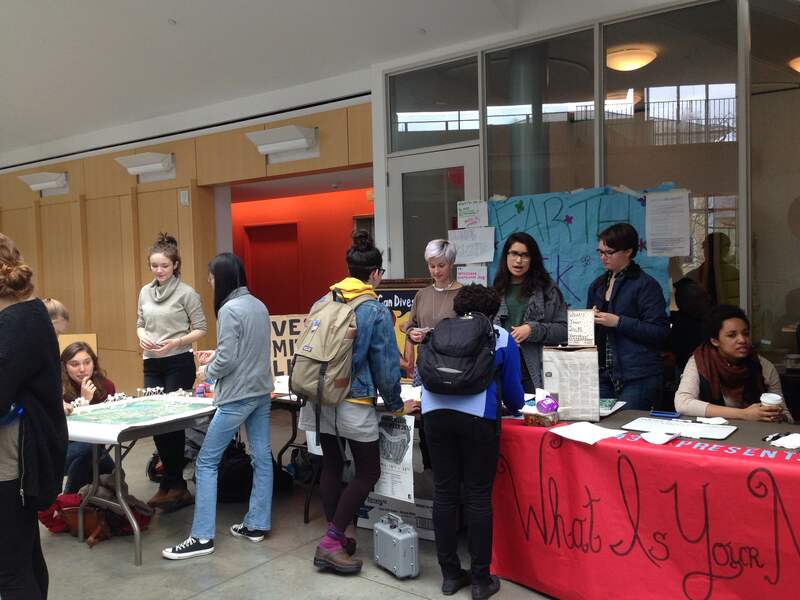 Rain and wind forced the array of student justice and environmental organizations inside the campus center; many passersby avoided catching our eye so they could hurry on without being stopped for a signature, promise, or pamphlet. Those who did stop, though, gave an incredible energy to the week. People proudly penned promises on up-cycled cloths, accepted challenges and asked for more information on everything from intersectionality to permeable pavements. The week was dotted with workshops, panels, and gatherings geared towards opening up the Smith community on a variety of topics. Environmentally friendly menstrual products, labor conditions of undocumented farmworkers, indigenous land rights, and the Gaza water crisis: the College was flooded with waves of discussion on a myriad of global environmental justice issues. It can be hard not to feel a bit jaded when it comes to doing outreach on a campus so full of soapboxes: occasionally, it seems to me that Smithies have an attitude of “I don’t have time to listen to you talk, I’m busy saving the world”. However, unlike previous Earth Weeks, the focus this year on intersectionality really brought more of the campus together than ever before. Instead of a lecture on why we’re not doing enough to celebrate and take good care of the Planet and the People on It, it felt more like a conversation on how together, we can do more than enough. We can’t talk about land subsidence in marginalized neighborhoods without talking about race; we can’t talk about waste crises without talking about class, and we certainly can’t talk about climate change without talking about global political power asymmetries. I think that this past week was an important step in creating a more equitable space for discussion on campus. If we all took one step off our own soapboxes, it would lead us onto someone else’s; out of a lecture, and into a conversation.